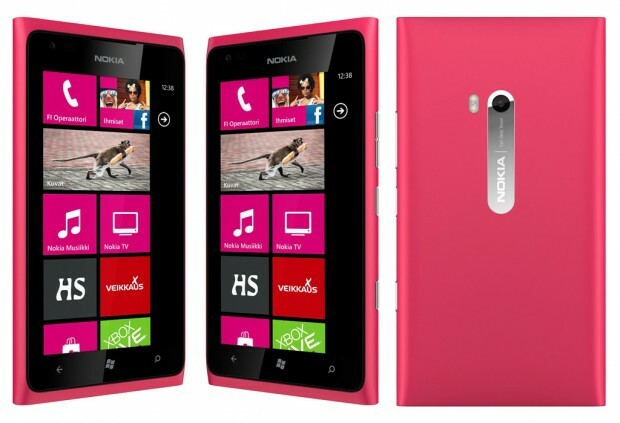 Nokia has just confirmed that the latest Windows Mobile phone, Lumia 900, will have a pink version (magenta). Earlier versions of the new color images have appeared on Finland site. According to the website, the device will support HSPA + connection in Finland and launched in May. However, the site does not mention the specific dates and Nokia representatives also declined to provide details. Lumia 900 is the most advanced phone from Nokia and is now Windows Mobile devices support the company's first LTE 4G connectivity. The device is equipped with 1.4GHz single-core chip, capacitive touch screen size 4.3 inch AMOLED ClearBack resolution is 800x480 and shelves on April 8th in the U.S. recently. With the addition of new color collection, Lumia 900 equal to 800 the number of devices with color black, white, green and pink.